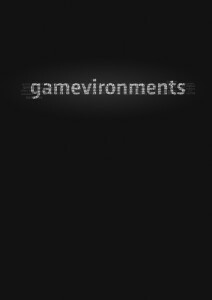 Whether you’re a pro-author or brand new to the journal gamevironments. games, religion, and stuff, everyone needs a little help sometimes. So we’ve created some helpful informations to assist you in the submission process. System requirements or what do you need to start a submission? First of all, you need an article in English with quite a good idea or interesting approach to religion, games, gamers, gaming and anything connected with this! If you are from Sociology, Religious Studies, Media Studies, or Game Studies, then all the better, but in general, all academic disciplines are welcome. 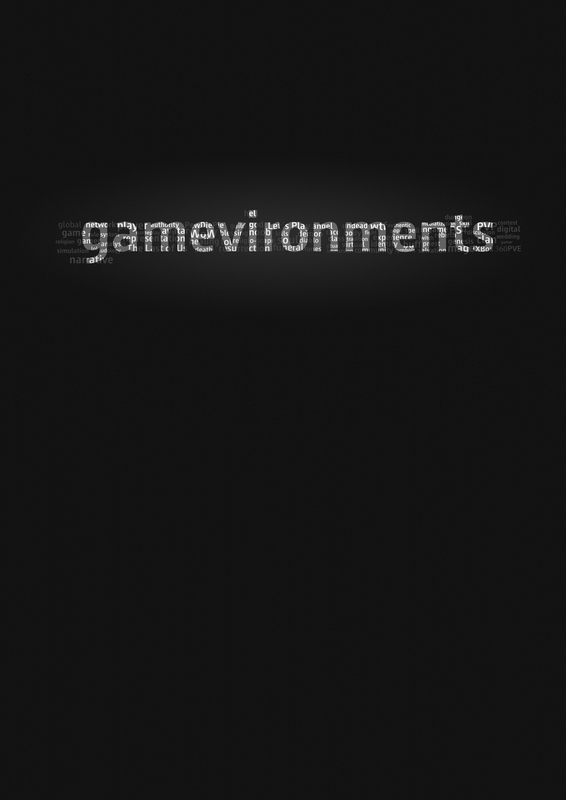 Also, we encourage game designers to share their ideas in gamevironments! In the question of religious traditions we are open for everything, but the article should not have been published before. If you have any questions, for instance, if your topic fits in the theme of the journal, just contact us! If you want to publish an article not focussing on games but dealing with digital media and religion, culture, and society in general, we strongly recommend our partner journal, the Journal of Religion, Media and Digital Culture (JRMC). Normally, articles should be between 5.000 words and 10.000 words in length – if your article is longer, please contact us in advance. In general, a clear structure is of course helpful to understand your argumentation (introduction, discussing the relevance of your idea, theoretical frame, used method(s), case study and amount of new knowledge). Video games are full of images, so it would be a good idea to include some of them, illustrating your argumentation. But, for any image, you need to hold the copyright. Please ensure that! Before publishing with the journal, you need to sign a copyright declaration which we provide. Please send all images as .jpg file(s) to us due to formatting issues. Besides the article and images we need keywords (up to 10), an abstract of up to 200 words, and a brief biographical paragraph (100 to 150 words) with your current institutional adress and email adress. If you are ready, please send the article as an RTF file to both editors-in-chief. Next to academic articles we are interested in projects related to games, gamers, gaming and religion, culture, and society. For instance, if you have an interview with a game desinger, a pedagoque working with games, etc., please feel free to share it in our journal! Sometimes you may just want to give an impression of your current research, an introduction to a new project, or just have a longing for acclamation of about the 5% of successfull third part funding that we get for this “weird stuff” – please feel free to do so:) In general, such research reports should be short descriptions between 3000 and 5000 words in length. They are not peer-reviewed, but we as journal editors will give some revisions if necessary. 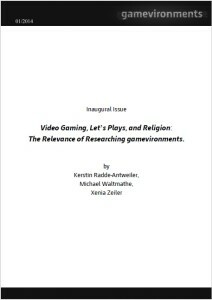 There was a flow in publications concerned with games and religion/culture in the last years, so it could be interesting to introduce and discuss some of them. If you are reading a new book which you think can be helpful for other researchers, feel free to propose a review. Reviews should be around 1000 words. Please note that in most cases, the journal will not be able to provide a free copy for reviews, but will try to source a free copy for you. Besides the review we need keywords (up to 10), an abstract of up to 200 words and a brief biographical paragraph with your current institutional adress and email adress. If you are ready, please send the article as an RTF file to both editors. Due to the fact that we are a games journal that wants to collect, systematize and further develop the various recent multidisciplinary approaches in the research area, we need to know our way around in our field, namely GAMES! So if you are playing a game which you think can be an interesting and promising object of investigation, please send us proposals for a game review. Reviews should be around 1000 words. Please note that in most cases, the journal will not be able to provide a free copy for reviews. _ Please use a clear structure with chapters, headings, and if necessary subheadings. _ Please do not insert any automatic Microsoft Word functions (“auto format”), such as automatic headlines, numeration, etc..
_ Please use a tab instead of spaces for indentation. _ Please use endnotes instead of footnotes. _ Please be consistent in you choice of either British or American spelling. _ Please include a bibliography with a complete list of all publications cited at the end of your article or review. _ Please follow the guidelines for citations and formatting set forward by the Harvard Style, in which citations within the text include the author’s name and the date of publication (Gamer 2014). Gamer, X., 2014. Title of book. City: Publisher. Gamer, X. X. and Propp, K. K. eds., 1990. Title of book. City: Publisher. Gamer, X., 2014. Title of chapter. In: Smith, J., ed. Title of book. City: Publisher. 1-20. Gamer, X., 2014. Title of article. Name of journal, 1(1), 1-20. Gamer, X., 2014. Title of article. Name of magazine or blog. Available at www.webaddress.com, accessed 1 January 2014. Please find the detailed stylesheet here! Gamevironments is hosted at the University of Bremen in Germany, so all legal questions (e.g. concerning questions of copyright) will be regarded under the German law. Because of this, authors must accept full responsibility for the content of their article by signing a copyright form, which needs to reach us before the article’s publication. For any questions, please contact both editors-in-chief. There will be one regular issue per year. Besides that, occasionally we will have special issues on topics including gaming in Asia, serious gaming, etc.